Mark June 8 on your calendars. 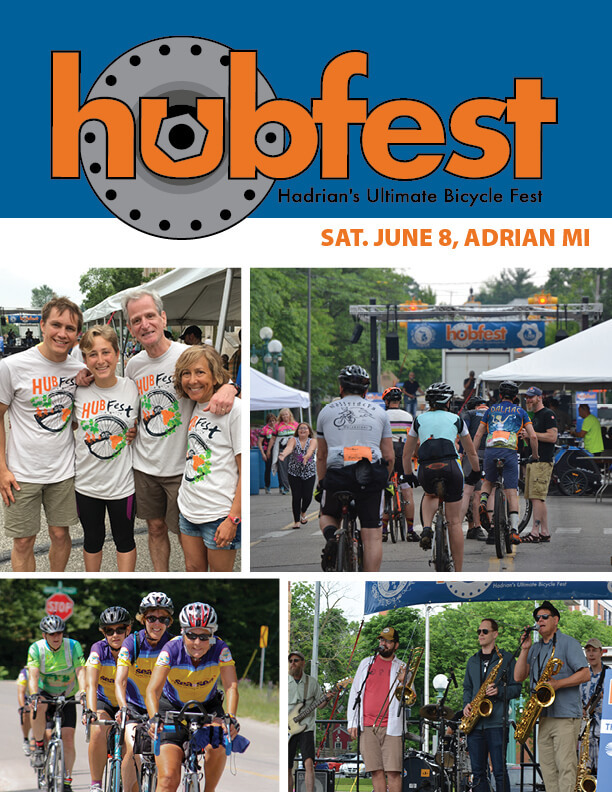 LMB is once again heading to Adrian for out third annual HUBFest. HUBFest is a one-day, choose your own adventure cycling tour. With four unique ride options, HUBFest attracts a broad range of riders, from beginners to experts, mountain bikers to road cyclists, families, and even wine connoisseurs. HUBFest can’t happen without the support of sponsors. Take a look at our HUBFest Sponsorship Kit to find out how you can be a part of this great event. I can’t wait to see you in Adrian on June 8!